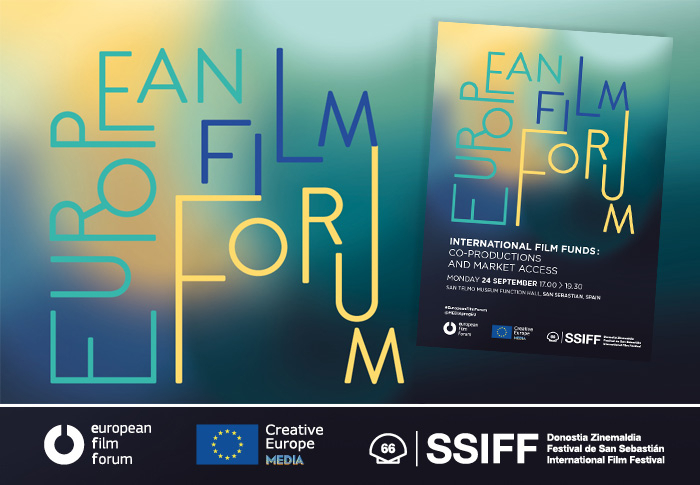 On 24th September, in the context of the San Sebastián Film Festival, an event focusing on film support funds in Europe and Latin America will be held. Given the strategic position of the Festival, the event -promoted by Creative Europe MEDIA in the frame of the European Film Forum- will be a good occasion for key stakeholders to meet and discuss film funding opportunities in the international sphere. The aim of the forum is therefore to present the most relevant funds in terms of funding volume, support lines and results, and also to establish a dialogue among professionals on the future trends of this kind of incentives in the new audiovisual paradigm. Film support funds, besides supporting national film industries, mainly promote co-productions with countries that have a more limited film production capacity, and play a crucial role in the development of these film industries. They act as mediators between creators, potential partners and festivals, favour their production and raise their international profile. The debate will also focus on the role of supranational organisations such as Creative Europe MEDIA, Eurimages and Ibermedia, as they support co-productions between their member countries as a key tool to strengthen the audio-visual industry, to boost larger-scale films and to expand the international circulation of these films. Lucia Recalde | Head of MEDIA Unit - Creative Europe Programme (Belgium). International funds, mediation in film production and distribution. Future trends.